Studio. YONOH. Product, graphic and interior design in Valencia. 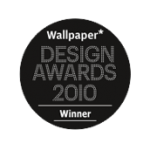 During its career Yonoh has been awarded with the most prestigious design prizes worldwide as Red Dot, IF design award, Good Design or Wallpaper* Design Award among others. Clara and Alex, industrial designer by training, developed their careers separately during years until they met on a young designers exhibition in 2004. At the end of 2006 they present their first collection as Yonoh, an ambigram that represents the bicephalus character of the studio. From 2014 they collaborate as associate teachers with the Cardenal Herrera CEU university in Valencia and give lectures and workshops around the world promoting the Yonoh way of work.